In the first part of this chapter the public health importance of low back pain was emphasized. The complexity of the socioeconomic issues were reviewed that make low back pain the important problem that it is. Patient behavior and physician behavior was emphasized. As a second part of the examination of the problem, low back pain with and without a leg radiation will be emphasized simply as a manifestation of underlying disease. These data are drawn from two sources. 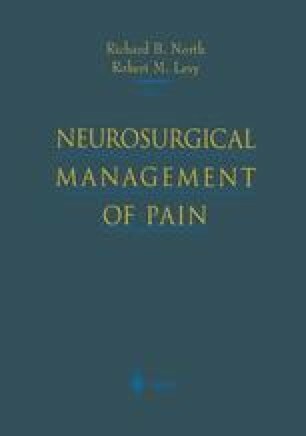 The first source is 1048 patients referred for evaluation of intractable back pain with and without operation.1 A typical patient had undergone at least three operations and was fully studied with repetitive imaging studies. For instance, the average number of myelograms was nine. Nevertheless, approximately one-third of these patients had never undergone surgery. The second group is comprised of nearly 4000 patients studied in a multicenter nationwide evaluation.2 Eighty percent of these patients had not had a previous operation. These remarks then are drawn from a broad data base of more than 5000 patients in whom detailed demographic, historical, psychological, physical, and imaging data are available.